The diverse environmental and socio-economic realities in which we operate, demand different and flexible responses to issues of sustainability. 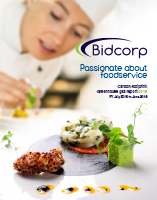 In line with Bidcorp's managerial approach, we believe that our individual companies are best positioned to respond to the sustainability priorities of their operations - from a legislative, resource availability, employee and social investment perspective. 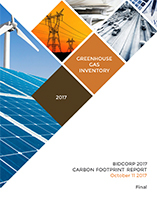 Bidcorp builds on this decentralised base through group-wide policies on bribery, corruption, environmental management, and critical sustainability metrics businesses are required to report on. The board's social and ethics committee oversees the quarterly reporting of the group's sustainability activities. While the decentralised business model promotes appropriate responses from our companies, the committee is guided by a group-wide materiality assessment and stakeholder impact analysis. Key among these, include responsible product sourcing, environmental impact, employee well being, and our responsibility as a corporate entity to support social investment programmes. As a foodservices company, our global products are sourced from a variety of third party suppliers in differing geographies. We must be able to guarantee quality and ethically produced products and, hence, we uphold a code of conduct that stipulates environmental standards, human rights, employee working conditions, occupational health and safety standards and business ethics that we believe reflect the integrity of Bidcorp. We view our environmental reporting as an ever-developing strategic focus. Environmental management equates to sound business management as much as it relates to protection of our planet. Our environmental impact is largely driven by consumption of various resources that are high-cost items in our operational budgets such as fuel sources for our fleet. Of these, we have achieved consistency in consumption over the past two years against a backdrop of higher growth. This year we have expanded the reportable metrics of environmental measurement across our group. This provides a more complete picture of our global carbon footprint and wider environmental impact. Going forward we will intend to report on emissions from air-conditioning and refrigerant equipment, and begin to track relevant emissions from our supply chain. Although our own operations are not significant water consumers, we acknowledge that many of our suppliers are reliant on suitable quantities of good quality water to produce our products and they may be located in water stressed areas. Climatic change will have an impact on these operations and we need to be cognisant of how water is managed in our value chain. Waste continues to be an important and relevant issue. Most of our waste is associated with packaging materials and food waste. We try to manage these issues by encouraging recycling (often promoting enterprise development as a result) and partnering with charitable food banks to ensure waste is minimised. Employee numbers have increased in line with business growth. Our management teams are committed to diversity and transformation principles in new appointments and internal promotion. Employee training programmes are receiving attention, as skills development and retention is critical. Group-wide expenditure on employee training programmes has increased by 145% during 2017. The number of lost time injuries has decreased by 45% across the group, indicating increased focus on our occupational health and safety measures. We are pleased to report that for a second year running there were no workplace fatalities to report. We are aware that we are part of a larger social fabric and encourage our companies to contribute in meaningful ways to the communities in which they operate. Such support typically centres on educational projects, hospitals, orphanages and hospice donations Contributions vary from product and financial sponsorship to time and expertise.